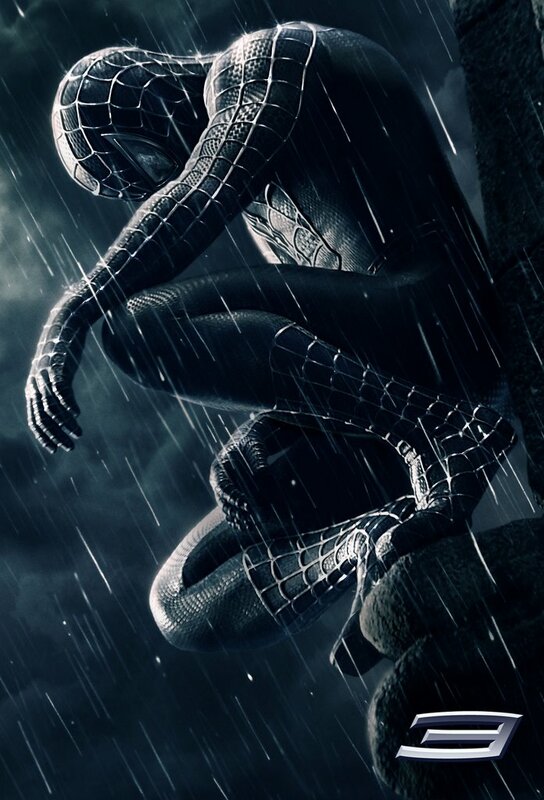 Update: The Spider-Man 3 study can be found here. Yesterday I caught a premier press-screening of Spider-Man 3 and I’m officially here to tell you that this movie rocks! And, yes, before you criticize me, that is official trade lingo for a movie that … well … rocks! It may not be appropriate for a kid still in kindergarten, which is why I didn’t take AJ, even though I could have (I was allowed one guest), but it’s primarily because there is violence (what heroic actioner doesn’t feature violence) and a really scary Venom. :: shudder :: But if it weren’t for the fright factor I’d take AJ tomorrow. As it is he’s already wanting to see the movie and begging me to take him. (I had no idea he’d already watched the first two Spider-Man flicks, and since they aren’t keeping him awake at night, I’m considering letting him watch it when the DVD comes out. We’ll see. I won’t spoil it for you, but there are plenty of religious themes throughout. Naturally, whatever spiritual content you find in a Hollywood flick must be filtered and corrected through a Biblical values lens, but rest assured, you’ll find redemption, forgiveness, the bitter and unsatisfying pill of vengeance, repentance, and an epiphany literally at the foot of the cross. There is evil alongside misguided altruism. There is love, love denied, love restored, and naÃ¯vetÃ© brutally quashed. And there’s a side to Peter Parker you never would’ve imagined. Think: a geeky Stephen Baldwin meets John Travolta. The scene with Peter Parker strutting in his shiny black suit is absolutely priceless. Stan Less does his usual cameo, and the timing is perfect. The audience laughed, and that’s great, because Stan needs more credit. He could never get enough credit. I love Stan Lee. The CGI effects are astounding with some scenes taking over a year to complete due to their complexity and level of detail. The acrobatics and combat scenes trump anything in the Spider-Man movies to-date, and as usual, the character development takes turns left, right, backwards, and forwards. On the negative side, the characters are all so much more self-absorbed in this film that I find myself questioning how long it really takes for people to learn from their situation and grow from it. But, then, I suppose there wouldn’t be a moral lesson if everybody always learned from the films of their lives. But, honestly, there isn’t much to criticize here. I’ll have to reflect on it more to find bones to pick but at this moment, I simply cannot find anything to seriously harp about. It’s a fine movie (if you can tolerate action flicks) and well worth watching. I recommend it. Stay tuned for more info from my Bible Study. ← Spider-Man 3 Movie-Based Bible Study Coming!